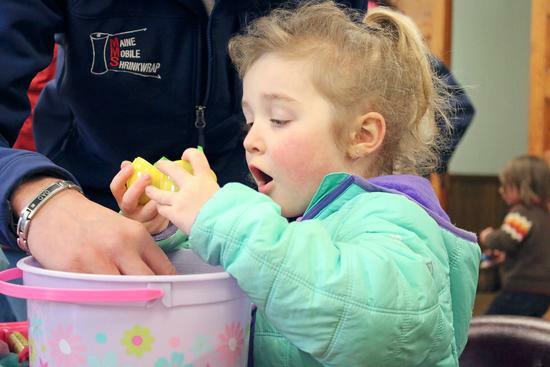 What’s not to like about candy-filled eggs? 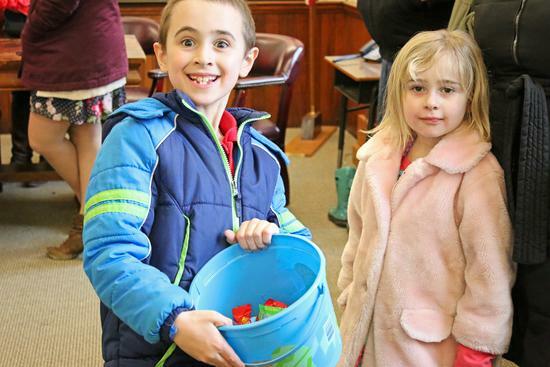 The Maine Maritime Academy Phi Epsilon chapter of Alpha Phi Omega sponsored an egg hunt on April 1, Easter Sunday, at Emerson Hall, a last-minute move from the town common due to the chilly weather and threat of rain. 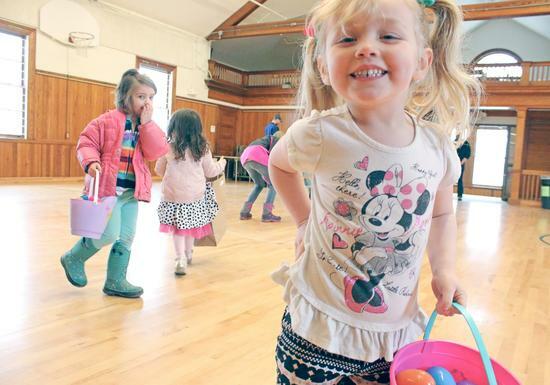 After the littlest children gathered their eggs in the upstairs hall, they joined the older children downstairs to see what goodies were inside. Leia Brown hunts for eggs in Emerson Hall. Luke Lamontanaro, with sister Mae, shows off the results of his search. 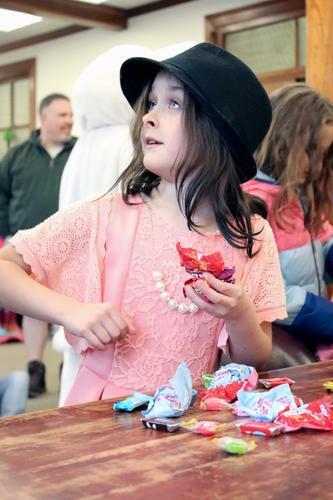 Brooke Bailey shows off her candy treasure.